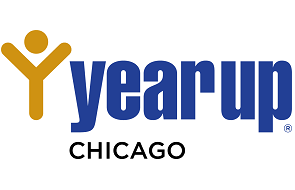 My first exposure to Year Up came last autumn at the Standard Club in downtown Chicago for the Jewish Vocational Services’ Strictly Business breakfast. During a panel discussion on bridging the talent gap, Shelley Stern – Microsoft Chicago’s Director of Civic Engagement – called out Year Up and their Executive Director Alan Anderson for the great work they were doing in preparing younger candidates from challenged backgrounds in the city for success in tech careers. It immediately dawned on SPR’s President Doug Rossier that Year Up’s mission is closely aligned to SPR’s ongoing commitment to supporting candidates from non-traditional backgrounds. 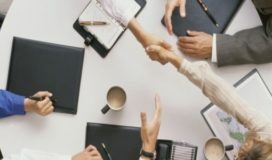 A partnership with this organization could strengthen SPR’s offerings to our clients, while extending our footprint in helping to strengthen a diverse workforce. Flash forward to meetings with Alan and Dori Dinsmore, Director of Corporate Partnerships for Year Up, where we covered everything from logistics, the background of student interns, timing of internships, breadth of skills and training approach, the financial commitment required as a corporate partner, and their deep commitment to their student interns. Alan emphasized that he and his staff weren’t afraid to take on challenges with their young people, but they had to see promise. Candidates might have dropped out of college, and others may have been living in untenable home environments, unable to focus on moving their lives forward. 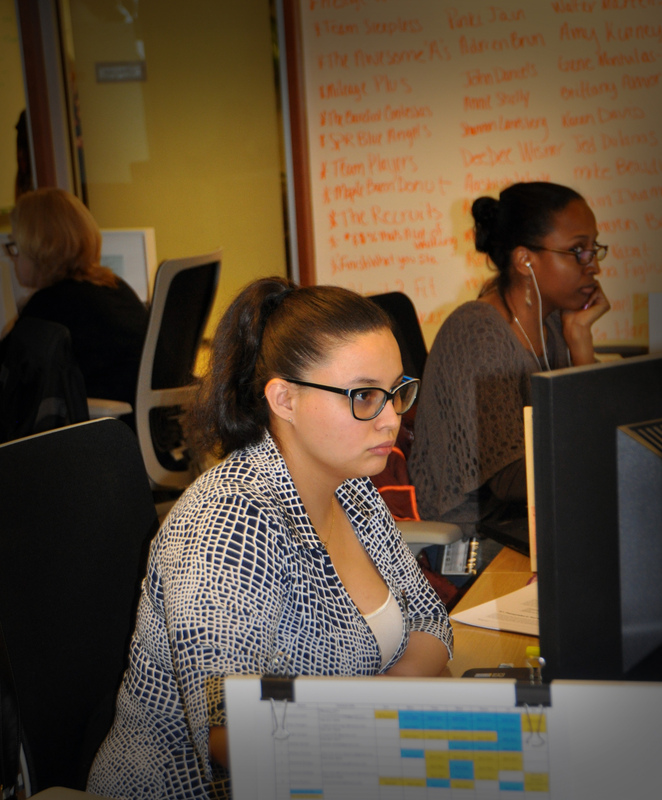 Year Up is committed to taking their candidates from poverty to a professional career in one year. A bold claim, but their staff and supporters are able to back it up with a combination of a year-long intensive hands-on training, college credit work and 6-month corporate internships. Most importantly, not only has each one of these interns found camaraderie with other candidates from similar backgrounds, they’ve also found deep support at Year Up. It was an easy decision to support Year Up’s mission, and we quickly made moves to hire our first intern to work alongside our seasoned testers as a part of our onshore testing team. What better way to highlight our partnership with Year Up, and more specifically, Cynthia, than to give her the spotlight. 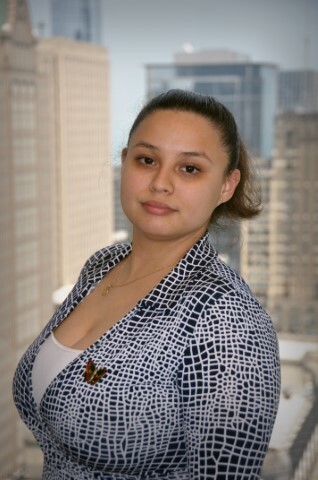 Here, we interview her to get her perspective on Year Up and working at SPR Consulting. I heard about Year Up through a radio commercial while I was getting off my work shift at 3am. My life before Year Up was pretty hectic. I had been so involved in trying to make ends meet, that I had lost my focus on my dreams. I was living with my cousin because she needed a place to stay since she lost her job. I was supporting my cousin, her dog, and my dog. I was working 3 jobs. Monday, Wednesday and Fridays I was working as a Child Care Giver. Tuesday, Thursdays and Saturday I was working as a Spanish Teacher. At night Monday through Sunday I was working as a tow truck driver. I sold my dreams. I had no time for myself. I was lifeless and was living to work instead of working to live. My life since I started Year Up has drastically changed. I helped my cousin get a job. I talked to my mangers about the Year Up opportunity and they encouraged me to go for it because why should I give up on my dreams? I finally opened my eyes and realized that I have the right to have a dream. Year Up gave me the opportunity to dream, and not only that, but reach those dreams. It has taught me many skills such as: communication, networking, professional skills and my passion: Information Technology. But what really has made an impact is learning the value of myself and using my unique self to better others around me by being an example. Not to give up on my dreams. That just because of where I come from doesn’t mean I am going to be a failure. Now I have time for outside activities. I play indoor and outdoor soccer, volleyball, 16-inch and 14-inch softball, and am in a Bocce ball league. When I first walked into SPR, I couldn’t believe it. It almost felt like a dream and at any moment I was going to wake up. When I went through the interview process, I wanted to be the one chosen and the one to bring my skills to the table. The expectation I have for myself is to regain my life back and take this as an opportunity to start a career, even if I don’t get hired at the end of my internship. I wanted to know for myself that I can do anything if I put my mind to it. I wasn’t going to give it 100% but go for 110%. 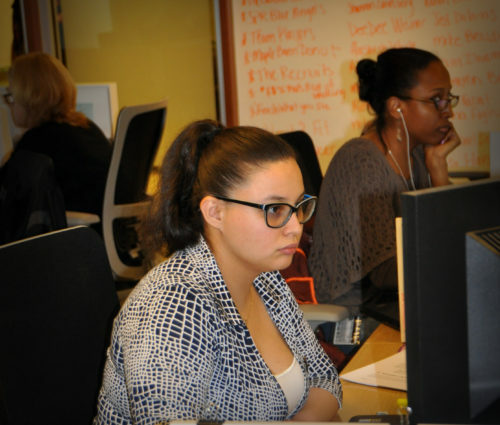 You’re nearing the end of your internship with SPR…how do you feel about that? As I come closer to the end of my internship, I am sad that it is coming to an end. Although I can say I have that void filled. I am happy because I was able to have an opportunity to be part of a team and start a career. What aspect of your internship did you most enjoy or appreciate? I really enjoyed the friendliness of my colleagues and how people here are willing to help one another. I really appreciated that I wasn’t treated like an intern but a team member when I was on projects. Were members of the testing team welcoming towards you? Yes, I like that everyone works together. It is a team effort. They are flexible, nimble, and creative. Have you grown as a young professional during your tenure? As a professional, I can say I have grown in many ways. I learned that I should dress for the job I want, not the job I have. This internship allowed me to explore a different wardrobe. A wardrobe I thought I would never wear. I learned how to write proper emails and how to get to the point. As time passes, I will continue to learn. What did you like – or not like – about the culture at SPR? I love the culture at SPR. Each and every individual in the company plays an important role. It is a big team and if people were not team players, SPR would not be possible. I am excited and happy to say that SPR Consulting has offered me a position as a Quality Assurance Analyst. I have accepted the position. I will be attending school in the fall and continue my studies in Early Childhood development and Computer Science.